Back in March, our CEO Bala was talking to a theater owner in Vegas. The owner said, “Why can’t I use Eventbee to sell tickets at the counter? I would like to capture attendee information the same way I do online to better promote my theater.” That got Bala thinking. The iPad has been on the Eventbee radar since it was released in April 2010- we’ve just been waiting for the perfect timing! Now that the iPad is a mature product with many other capabilities, we’re using it to make buying tickets as simple as getting soda from the vending machine! 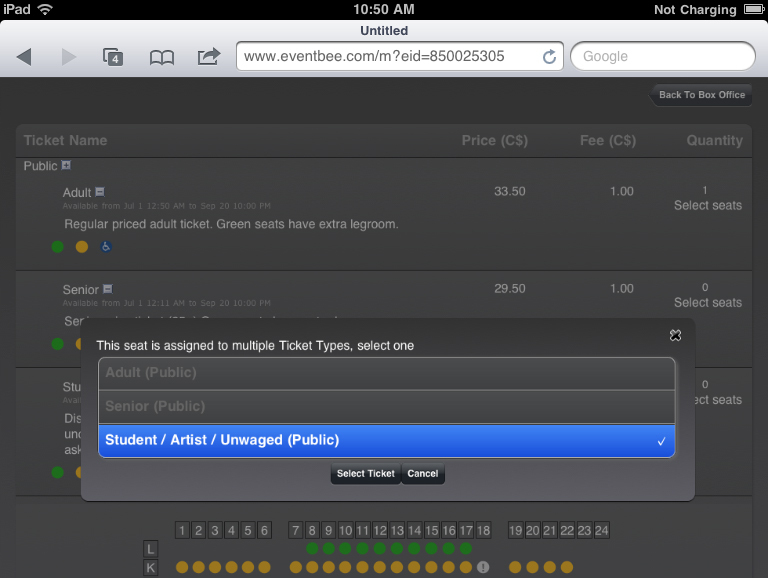 Today, we are excited to announce Eventbee iPad Box Office, as feature- rich as our web app. In fact, your event page will render to iPad specific UI when accessed, so there is no application to download or install. 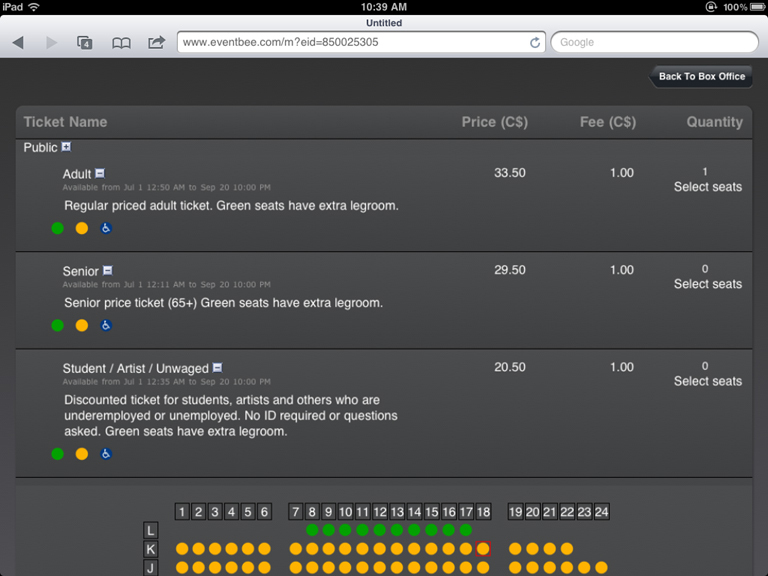 It’s a complete web-based, iPad-specific ticketing application. 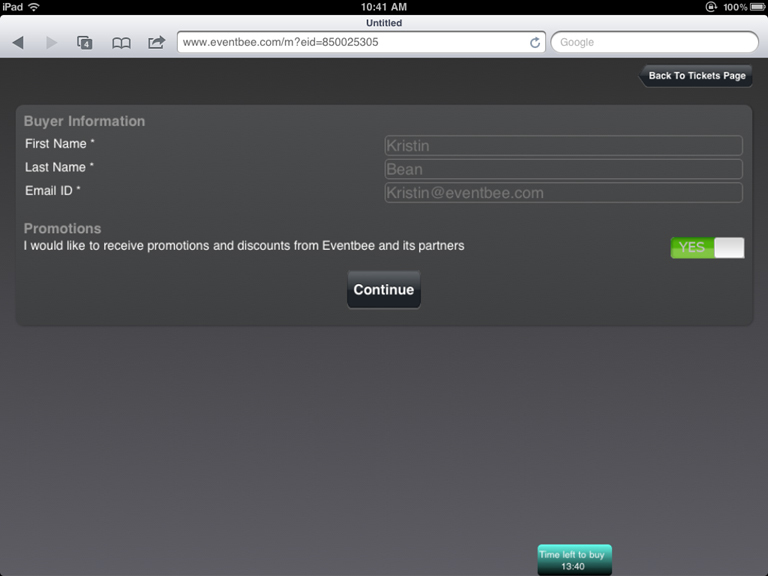 Every Eventbee account comes with box office URL. To utilize the iPad Box office capabilities, all you must do is point to that URL on your iPad, and you can display all or any events you choose on your box office. 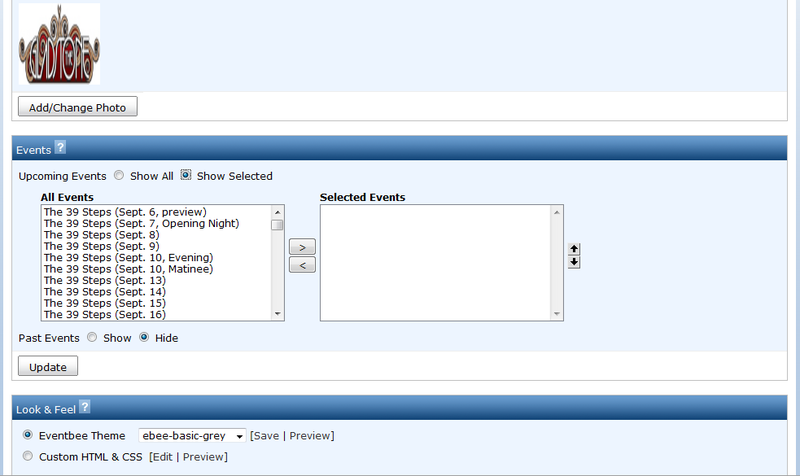 Attendees who visit your box office can view all of your events. When they enter an event to purchase tickets, the iPad Box Office shows the seats available as they appear in the seating chart- so they can sit where they prefer! The attendee provides his or her information, which is stored in central Attendee database, that you can use to promote your future events. 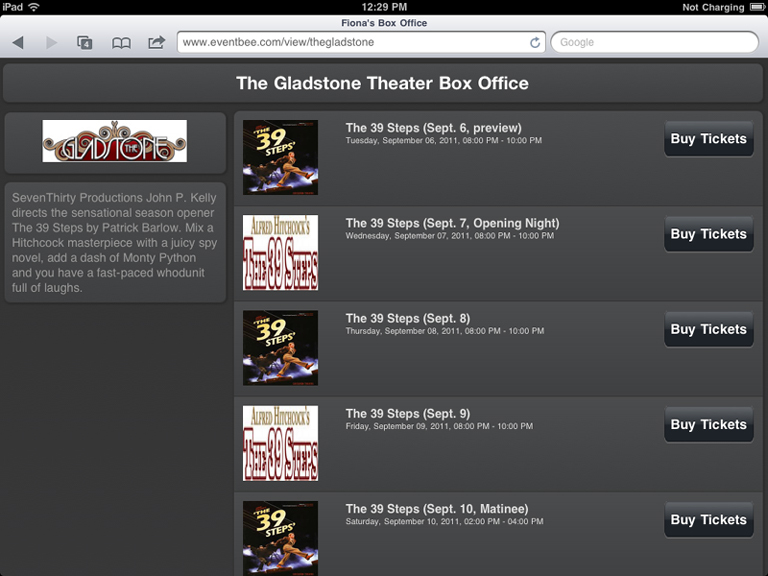 Anyone can purchase tickets in moments- the iPad Box office is extremely user-friendly! * Completely optimized, simple to use, web-based iPad UI. * One system to manage online and onsite ticket sales. * Optional use of external Credit Card processing providers and ticket printers. * Replace traditional box office systems with inexpensive and feature-rich iPad. * Captures attendee information and stores it in a central database that can be used for future event promotions. Stay tuned for more announcements! We are working with other industry partners to make the ticket-buying experience on iPad as seamless as possible.